This entry was posted in Church of the Evangelists (Southwark) and tagged Anglo-Catholic Parishes, Henry R. Percival, South Philadelphia, The Evangelists, William McGarvey, William Walter Webb on September 21, 2017 by mjk38. This entry was posted in Church of the Evangelists (Southwark) and tagged Anglo-Catholic Parishes, Henry R. Percival, South Philadelphia, The Evangelists, William McGarvey on September 21, 2017 by mjk38. This entry was posted in Church of the Evangelists (Southwark) and tagged Anglo-Catholic Parishes, Henry R. Percival, South Philadelphia, The Evangelists, William McGarvey, William Walter Webb on September 14, 2017 by mjk38. 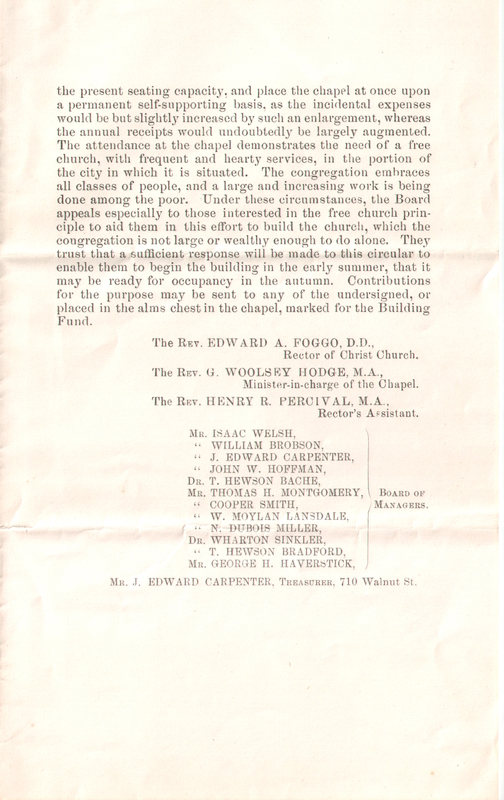 This entry was posted in Church of the Evangelists (Southwark) and tagged Anglo-Catholic Parishes, Henry R. Percival, South Philadelphia, William Bacon Stevens on July 13, 2017 by mjk38. This entry was posted in Church of St. John the Evangelist (3rd and Reed), Church of the Evangelists (Southwark), Church of the Holy Spirit and tagged Archives of the Diocese of Pennsylvania, George Wharton Pepper, Henry R. Percival, South Philadelphia on June 23, 2017 by mjk38. 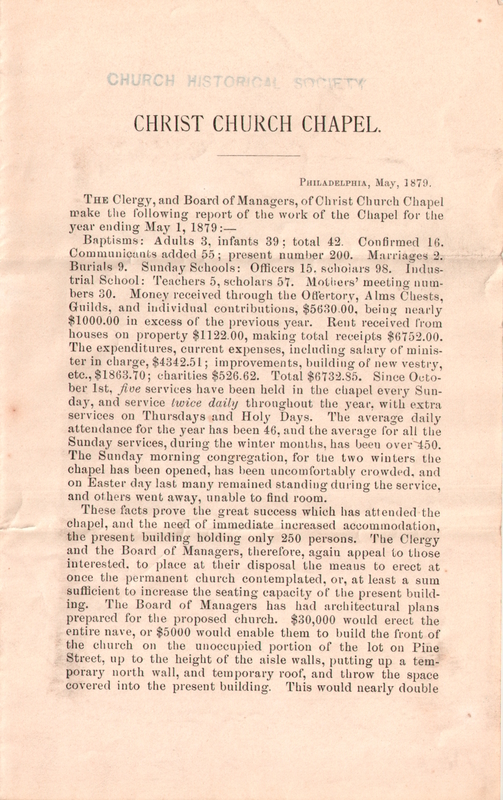 This entry was posted in Church of the Evangelists (Southwark) and tagged Anglo-Catholic Parishes, Henry R. Percival, South Philadelphia, The Evangelists, William McGarvey, William Walter Webb on April 6, 2017 by mjk38. 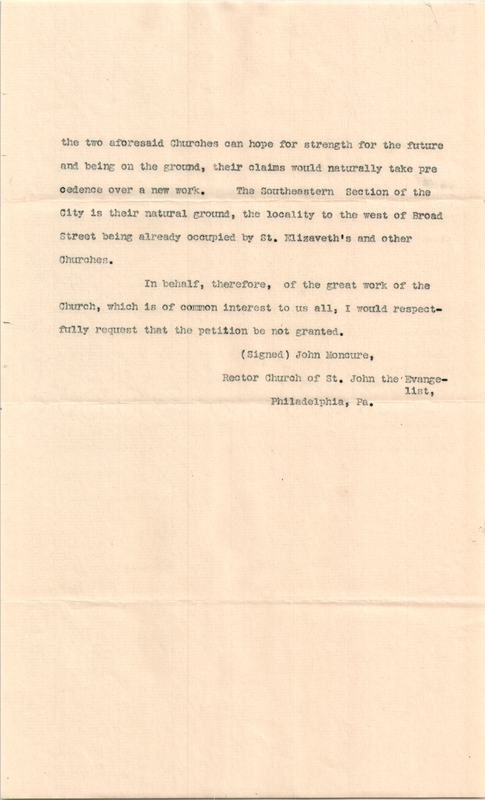 This entry was posted in Church of the Evangelists (Southwark) and tagged Anglo-Catholic Parishes, Henry R. Percival, South Philadelphia, The Evangelists, William McGarvey, William Walter Webb on March 9, 2017 by mjk38. 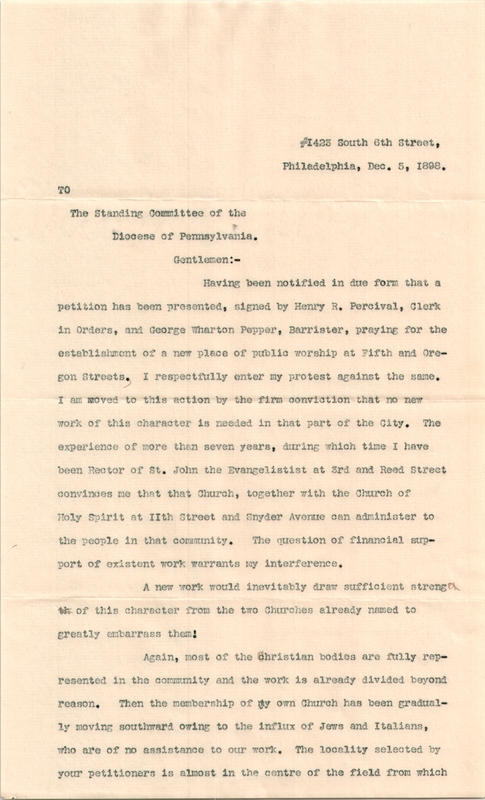 This entry was posted in Christ Church (Philadelphia), Christ Church Chapel and tagged Archives of the Diocese of Pennsylvania, Center City, Edward A. Foggo, G. Woosley Hodge, Henry R. Percival on February 24, 2017 by mjk38.